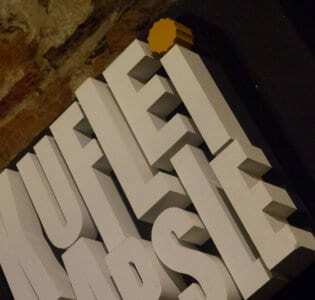 Quirky, late-night sister café-bars adjacent to each other on in Trzech Krzyzy. Szpilka is post-modern industrial in design, metallic and beige in colour and popular with gorgeous blondes, arty types and existentially challenged students. DJs spin hip club sounds, drinks run from tea to vodka and even the bar staff, once written off as rude and arrogant, are improving. Snacks are tasty if a bit plain. We like the mirrors on the toilet ceiling. Szpulka meanwhile is similar in design but more for late-night drinking which Warsaw seems to know lots about.